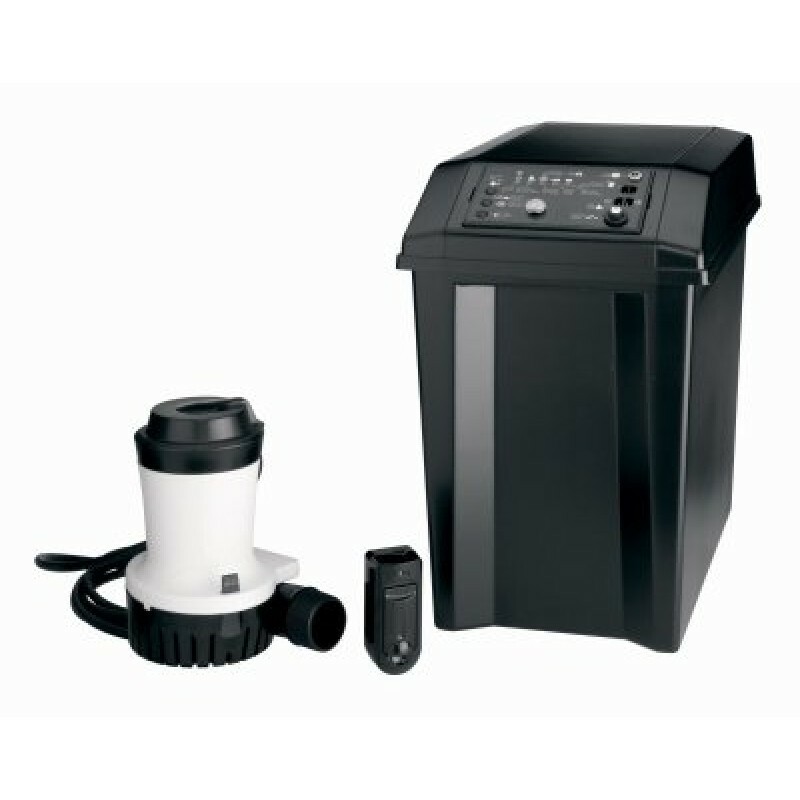 12v, emergency sump pump battery backup system. Virtual water assistant remote monitoring. Constantly monitors your system conditions & alerts you by cell phone or computer. When your basement is in danger of flooding. Recharges battery 25% faster & extends battery life. Removes up to 83% more gallons per charge than the leading competitor. Includes battery case control unit. 1-1/4 in. Npt to 1-1/2 in. Glue PVC elbow. Compatible with flooded & sealed agm deep cycle lead acid batteries. For best performance use flotec bat40 or bat75 sealed agm batteries. Dimension - 18.25 x 10.13 x 16.63 in.